The New Year is a great opportunity to do some self-reflection and assess any adjustments that could improve my life or make me feel healthier and happier. Every year I try to make just a couple resolutions that I think I can achieve, some of these have to do with my home while others are more personal. I do believe that your home can impact the way you feel and when I’m working with clients, my main goal is to create beautiful spaces that ultimately improve their quality of life. In my opinion, the entryway is an important yet often over-looked part of a home. It’s the first space you see when you enter and offers a preview of what’s in store in the rest of the house. It should be highly functional with places to put keys, coats or mail and you should feel happy to be home every time you enter. 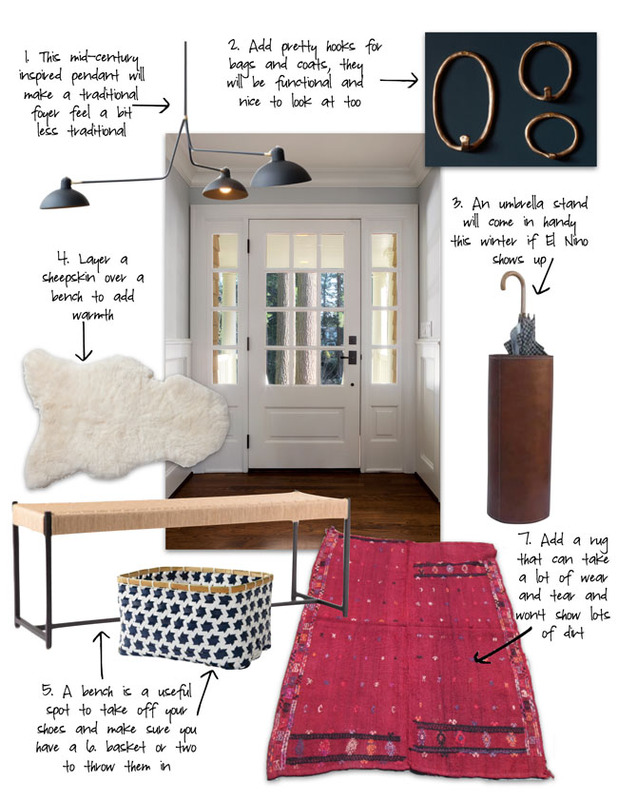 Here are some ideas on how to create a welcoming and hard-working entryway.